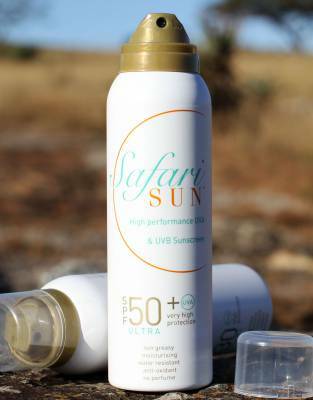 Our high-end safari sunscreen has been tested in Africa for Africa and the outdoors and is easy-wearing and effective. 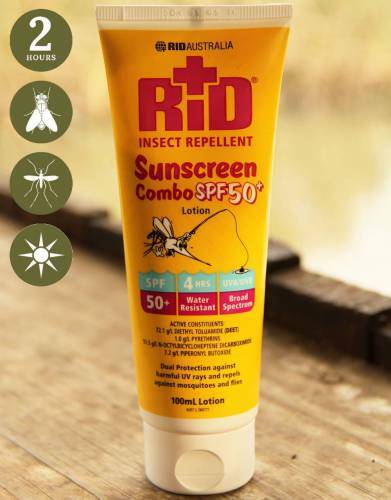 If you are going on safari, sun protection is an essential packing item and your sunscreen will be vital to avoiding painful sunburn. When the African sun gets to full strength from midday to early in the afternoon, it can be fierce. 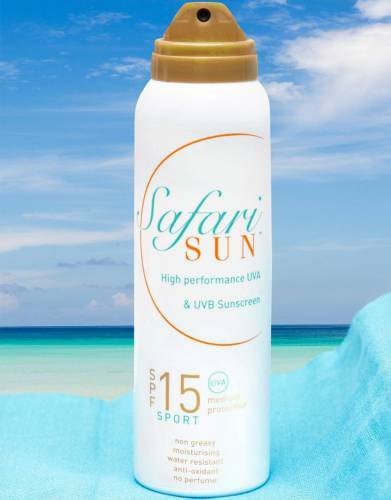 Pack a highly effective safari sunscreen which has been proven to work under an intense sun. 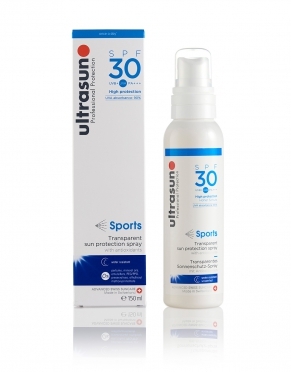 It is sensible to select a sunscreen which offers a broad spectrum, long-lasting transparent protection from both UVA and UVB light. As most safaris are active, also opt for a sunscreen which allows you to perspire without losing the efficacy of the active ingredients. As a general rule, we recommend sprays over creams for this reason. Apply sunscreen before you head out into the sun to allow it to absorb into your skin. Re-apply safari sunscreen frequently. 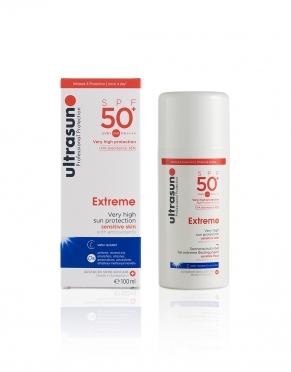 Also re-apply safari sunscreen after prolonged physical exertion and if you have towelled yourself down, worn a shirt over skin which you have treated with sunscreen, and after swimming. Even if conditions on safari are overcast, we still recommend that you apply sunscreen as your skin may still be affected by the UVA and UVB light. *Take into account how many hours of the day you will be in the sun when on safari in determining how much sunscreen to take - and the strength of the sunscreen. For game drives, you will usually be in the sun for 4 to 6 hours but, for longer walking safaris and certainly for canoe safaris, this may be quite a bit longer than that. For canoe safaris, also bear in mind that the effect of the sun is strengthened by light bouncing off the water.